Class Summary: In this course students will explore several alternative sources of energy including heat, air, and wind. They will act as power hunters to pinpoint both renewable and nonrenewable sources, ramp up a power generation station, and harness the sun’s heat using a parabolic mirror. In addition they will also view a series a demonstrations conducted by our Mad Scientists, in which the power and science behind fuel cells are revealed. 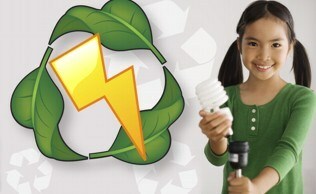 Educational Value: This exciting course is an interactive exploration of alternative energy known as super power sources! Students will learn all about power generators, electrons, and solar devices. In addition, the students will help to conduct several experiments including one in which they use their breath to run wind turbines. 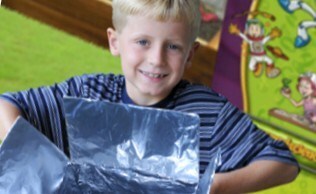 Children will leave this class with an abundance of knowledge pertaining to the world of energy!